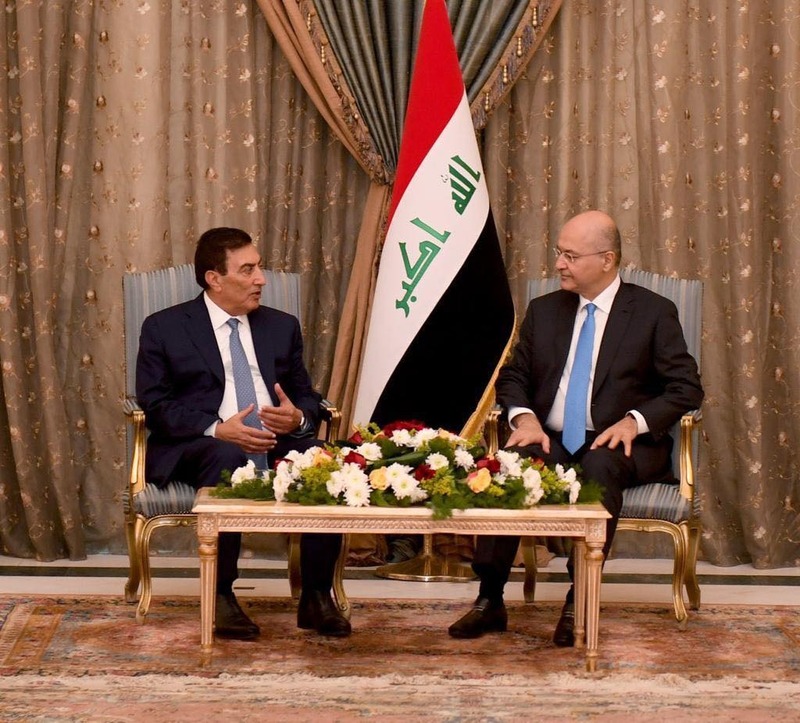 President Barham Salih confirmed that the relations between Iraq and Jordan are witnessing a clear and tangible development, thanks to the desire of the officials of the two countries to make them distinguished to serve the two brotherly peoples. His Excellency received Mr. Atef Al-Tarawana, Speaker of the Jordanian House of Representatives and his accompanying delegation, at the Presidential Office in Baghdad, Thursday, February 7, 2019. The President stated that the recent signed agreements between the governments of the two countries and the steps for their implementation reflect Iraq's keen pursuit to openness towards its neighbors, brothers, and friends. After the threat of terrorism has been addressed, Iraq has won deservedly, in a way that achieves the desired benefits and be reflected on the economic and commercial level in the two countries. For his part, Mr. Al-Tarawana referred to the important and effective role of Iraq in the region, and that its victory over the terrorist gangs of ISIS is a victory for all the Arabs and the nobles in the world. He commended the President’s efforts to develop the relations between the two countries. The Speaker of the Jordanian House considered His Excellency’s visit to Jordan as a real starting point for the elevation and growth of this relation. During the meeting, they reviewed the developments on the Arab and international levels and issues of common interest.